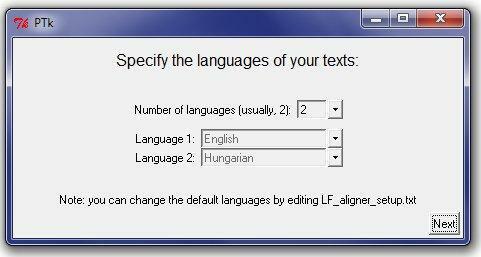 LF Aligner helps translators create translation memories from texts and their translations. 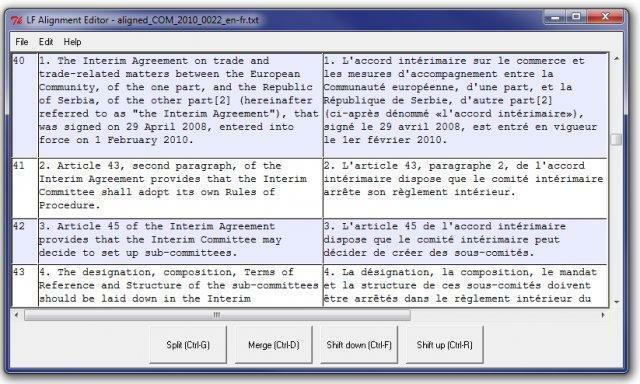 It relies on Hunalign for automatic sentence pairing. Input: txt, doc, docx, rtf, pdf, html. Output: tab delimited txt, TMX and xls. With web features. This entry was posted in LF Aligner, Tools on January 14, 2014 by Markus Killer.